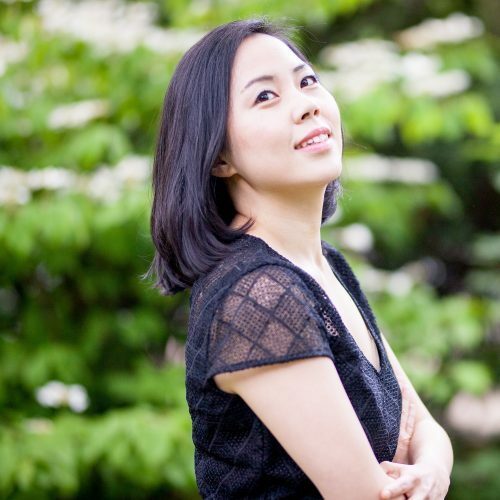 Award-winning pianist Da-Hee Kim performs as a soloist and chamber musician throughout Europe, Korea, and U.S. She is a Faculty member at Peabody Preparatory and is currently a DMA candidate at the Peabody Institute, under the tutelage of Boris Slutsky. Ms. Kim has won prizes in more than 10 national and international competitions, including Albert Roussel International Junior Piano Competition in Sofia, Pianoopen International Competition in Mérignac, Claude Bonneton International Piano Competition in Sète, and Valletta International Piano Competition. The BALTIMORE SUN has called Caleb Stine the “lynchpin of the Baltimore folk scene.” Like his Baltimore home, Stine keeps the music honest– hardworking, genuine, and unafraid to tell it like it is. To date, Stine has released nine albums, scored music for films, acted Off-Broadway, and traveled the country singing his songs. Most recently, Caleb Stine & The Brakemen released a concept record about Reality, Mortality, and Butter: ‘Time I Let It Go‘. The jazz vocalist Irene Jalenti has always admitted that much of her influence comes from the popular music of the 60s and the 70s. The Beatles were always played in her household when she was growing up, and many of the songs that she grew up learning were by the British band. Her love for the band was so strong that in 2005 she recorded an entire album with jazz arrangements of the music of the Beatles, the project was called "Back to the Beatles" and was an undiscussed success in Italy. Alan Blackman is a Baltimore based pianist and award-winning composer. His 2017 release on Summit Records features guitarist Gilad Hekselman and is entitled Chapter 3. With a style rooted in the jazz tradition yet tastefully modern, Josh Espinoza's music reaches audiences of all ages.>New Yorker Alex Meadow is an upright and electric bass player currently residing in the Baltimore/Washington area. His freelance career keeps him in high demand as a jazz/funk/fusion artist. To create music that encourages compassion and spiritual growth. To contribute to organizations that improve the well-being of others. David Dauda Jacquil Diongue, saxophonist and rapper, was raised in Baltimore where he was groomed by the city’s leading saxophonists, Dauda attended Baltimore School for the Arts and Oberlin Conservatory, where he studied with Baltimore jazz icon, Gary Bartz. Michael Gary II studied Classical Guitar at Baltimore School for the Arts and is currently pursuing a Jazz Guitar degree at Peabody Conservatory. He is working consistently on stage and in the studio as an Electric Bassist and Guitarist, and is fervently adding to his portfolio of original music.